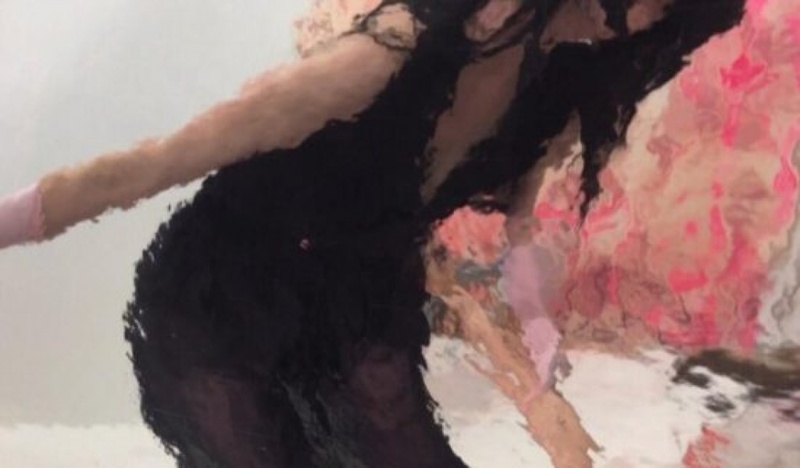 Madison Manning is a multidisciplinary artist who works in painting, sculpture, and performance. 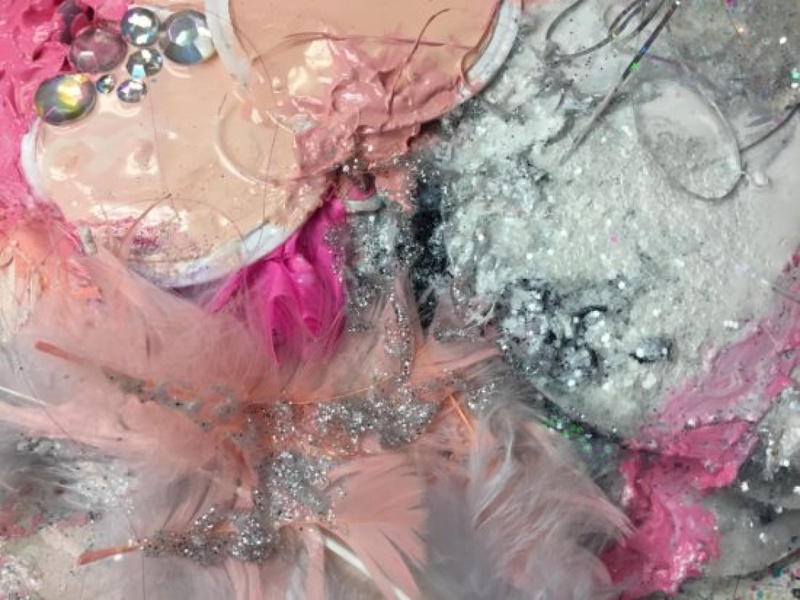 Madison’s large-scale work utilizes bright color palettes, luxuriously tacky textures, and queer feminism to critique of the beauty and behavioral ideals she was taught as a young girl. 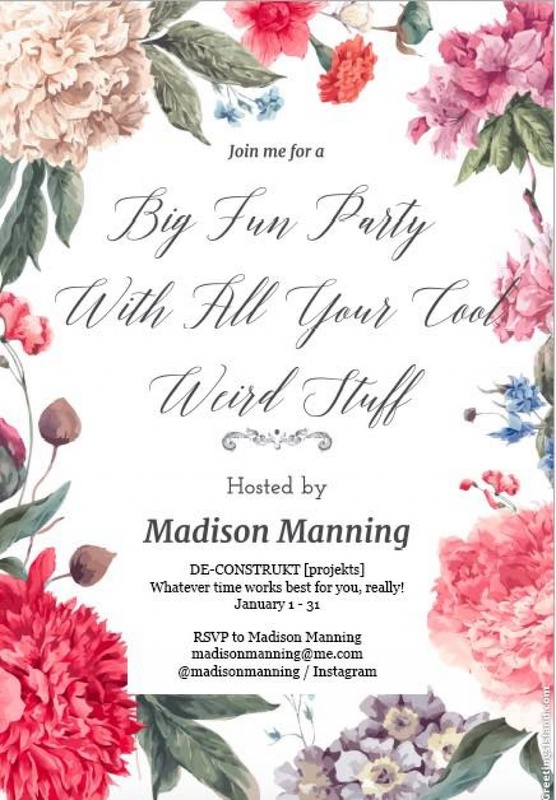 During her time at DE-CONSTRUKT, Madison is hosting a month-long party – BIG FUN PARTY WITH ALL YOUR COOL WEIRD STUFF. Every day in January, Madison will open up her studio to guests who are asked to bring personal items of their choosing. 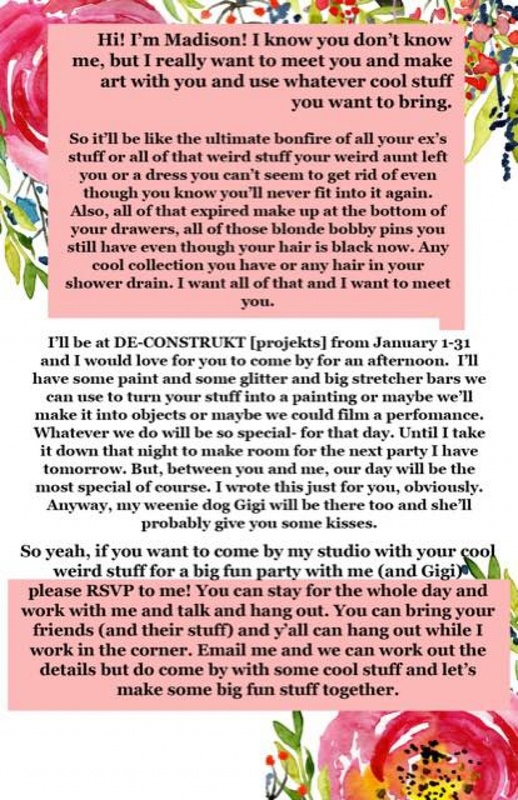 By bringing old clothes, forgotten bobby pins, hidden talents or unanswered questions, Madison wants to hear stories and collaborate on a one-of-a-kind piece of art based on whatever “stuff” the party guest brings.